Do you want to live a happier, more stress-free life? We all do, and the good news is that we can control our happiness and stress to some extent. One such technique is using “mindfulness” in your everyday life. Here, we take a look at what this concept is and how to apply it to your life. Mindfulness is about remaining aware of yourself and your environment. It’s about paying attention to your feelings, thoughts, bodily sensations, and environment. Mindfulness comes without judgement. You don’t judge whether your thoughts or feelings are “right” or “wrong”; you simply become aware of them in the moment without holding onto the past or future. By becoming aware of ourselves and our surroundings, we can influence our own emotions and how we handle different situations. Mindfulness has been shown to reduce stress and depression, boost immune system, increase focus, fight obesity, and have other positive effects on our minds and body. For example, someone who practices mindfulness will become in tune with their bodies enough to know when they’re truly hungry rather than eating because they are thirsty or bored. They also tend to eat slower because they’re paying attention to each bite, and they pay attention to their body signals to know when they are satiated. This keeps them from overeating, which helps fight obesity. How Can You Incorporate It Into Your Daily Life? 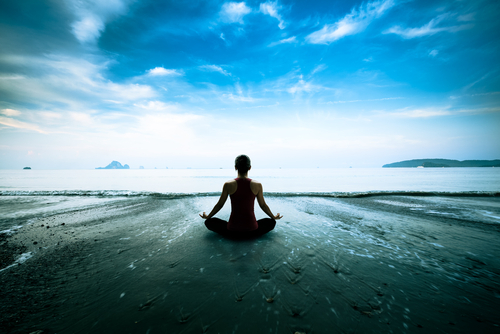 Although many people use meditation to practice mindfulness, it’s much more than that. Mindfulness starts by living life moment by moment. Here are some ways to practice mindfulness daily. Really! One facet of mindfulness is paying attention to and really noticing the things that are going on around you. Pay attention to the sounds, smells, and sights that most people would ignore. Just like how mindfulness involves noticing your outside environment, it also involves taking note of bodily sensations. How does the water feel on your skin? The air on your face? Slow down and pay attention to how you physically feel. In addition to paying attention to how your body feels, mindfulness is also about paying attention to how you feel emotionally. Stop every now and then and ask yourself what you’re feeling. Pay attention to the thoughts running through your mind. Again, don’t judge; just listen. Focus on your breath. How fast are you breathing? How deep is each breath? Slow, deep breaths can help you relax. That makes controlled breathing especially important in high-stress situations since it can help you control your emotions. Mindfulness is all about being engaged in the moment. That means that you’re focusing on what’s going on around you and you’re not “off in your own little world.” So when people are speaking to you, pay attention, even if you’ve heard the story a dozen times. Find a quiet place to relax. Sit in a comfortable position, and focus on your breathing. To minimize distractions, it helps to recite a mantra or count your breaths. However, mindfulness allows you to let your thoughts come and go without judgement, but if you do notice distracting thoughts entering your mind, try to shift your focus back to your breathing or your mantra. By practicing mindfulness, you may find that you feel better mentally and physically overall. Start with the abovementioned tips for practicing mindfulness in your day-to-day life. If you find that it’s too difficult to shut out the distractions all day, start with just 20 minutes or so per day. How will you practice mindfulness? This entry was posted in Informational, Novinky and tagged Mindfulness. Bookmark the permalink.